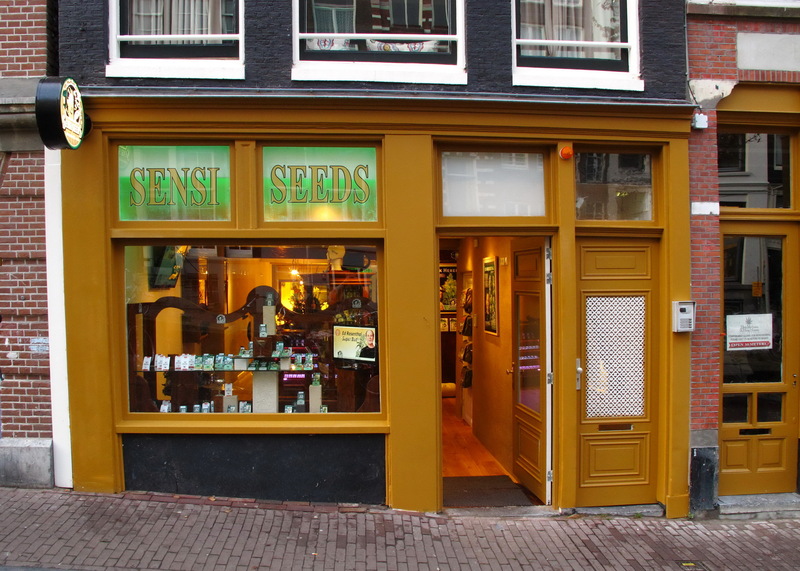 In 1985, the Sensi Seed Bank, the first true cannabis gene-bank and grow-shop in the Netherlands, opened its doors to cannabis enthusiasts. 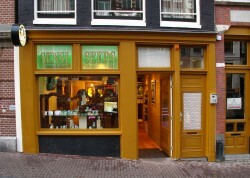 Located in the heart of Amsterdam’s Oude Stad, the Sensi Seed Bank and its close neighbour the Hash Marihuana & Hemp Museum quickly earned a reputation for excellence in cannabis genetics and knowledge. In Autumn 2010, major renovations began on the building which houses the Seed Bank – marking the first time in a quarter century that the shop was closed for more than a day or two. After a full year of reconstruction and improvement the one and only Sensi Seed Bank re-opened in its original location! Visitors returning to Sensi’s flagship store may be surprised by the extent of the changes inside and out. The shop-front is has been decked out with attractive amber wood-panelling. The interior has been completely remodelled and refitted to combine gorgeous old-world craftsmanship with the latest technology, unified by the theme of cannabis and hemp. The shop’s new counter, cabinets and glass-fronted displays are all made from reclaimed wood panelling which has been hand-carved by Balinese craftsmen. Since this is Sensi Seeds, a cannabis motif runs through all the different wooden features, tying them together. Set into the counter are two touch-screen panels which represent one of Sensi’s newest innovations in the seed-selection process. The screens are linked to Sensi’s seed database, enabling customers to select and compare dozens of different marijuana varieties to see which strains are best suited to their circumstances. The database contains a large amount of information on all our seeds, allowing cannabis enthusiasts to search and organise Sensi’s extensive collection of cannabis strains according to criteria such as Indica/Sativa makeup, flowering times, recommended climate and so on. With the information provided by interactive screens and the advice of our knowledgeable staff, customers can create their own seed orders right at the counter, with pricing and applicable discounts calculated on the spot.